Whether you’re tending to a garden, signed up for a CSA share (Community Supported Agriculture), or buying seasonal produce, there’s a really good chance you’re eating plenty of salads. Like A LOT of salads. I’m convinced that I’m turning green with all of the yummy kale and crunchy cucumbers I’ve been munching on. And let’s be real: eating greens day in and day out can get old pretty fast. But here’s a secret (shhh): with a little creativity, salad doesn’t have to be boring and repetitive (cue the applause!). Here are a few tips and a sprinkle of inspiration to help you create salad you’ll actually look forward to eating! 1. Myth: salads have to be entirely vegetable-based. Have fun by adding local and seasonal fruit, like strawberries in spinach salad, chopped apples in coleslaw, and blueberries on top of mixed greens. The bonus to pairing a fruit with your greens is that the vitamin C (from your fruit) will help to absorb the iron in your greens. Now that’s plant powered magic folks! Cucumbers, watermelon, shaved mint leaves, cracked black pepper and cubed (or shaved) Smoked Parmesan cheese. Adding roasted zucchini, red peppers, and corn on top of a bed of greens is simply divine. But really, you can virtually roast any vegetable out there! Roast vegetables by drizzling ‘good-for-you fats’ (examples: canola oil or some extra virgin oil), give the veggies a good toss, and grill or bake in your oven. The result is a salad that has different textures, flavor profiles, and totally tastes like summer. If you need more guidance on how to roast, click here. 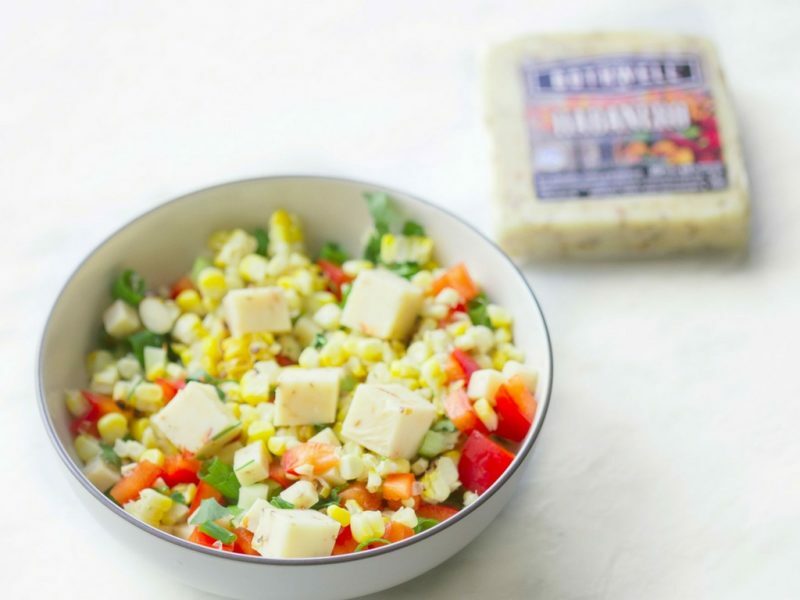 Grilled corn, red peppers, green onion, cilantro, cubed Habanero with Cracked Black Pepper cheese. Toss with freshly squeezed lime juice. 3. Add some crunch to your salad with nuts or seeds. Nuts and seeds are like little nutrition superheroes (they should have their own cartoon shows). Most of them come packed with protein, health fats, and fibre. Trust me, they make great salad toppers. Try roasted nuts such as slivered almonds, chopped walnuts, or pecan halves. Allergic to nuts? How about sunflower or pumpkin seeds? To boot, the nutrition nerd in me totally wants you to know that the fats in nuts and seeds will help absorb all those vitamins in your salad so that your body can do good things with them. See. It IS magic. 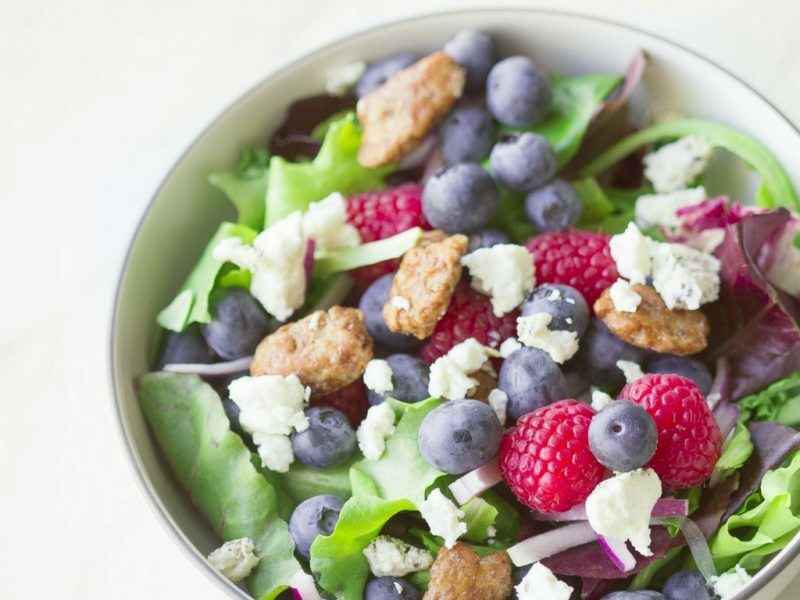 Spinach, mixed berries, candied pecans and crumbled goat cheese. Drizzle with poppy seed vinaigrette. Cheese is often the understated player when it comes to salads, but let’s give credit where it’s due. 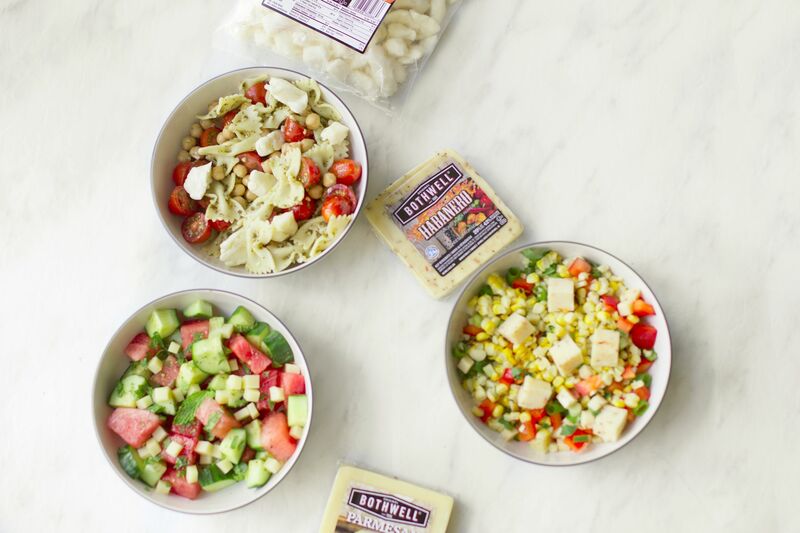 Depending on how you choose and pair the cheese, it can be a total game changer when it comes to your salad routine. Not to mention, cheese will help amp up the protein, offer up calcium, vitamin D and vitamin B12. 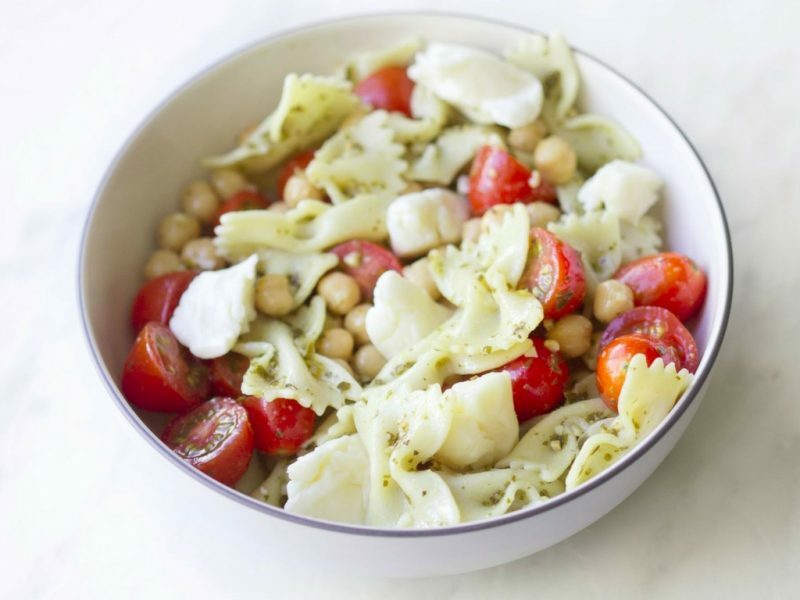 Noodles, cherry tomatoes, chickpeas, Bothwell SqueaK’rs. Toss with equal parts pesto, olive oil and white wine vinegar. Feta and goat cheese offer a creamy and moist texture. 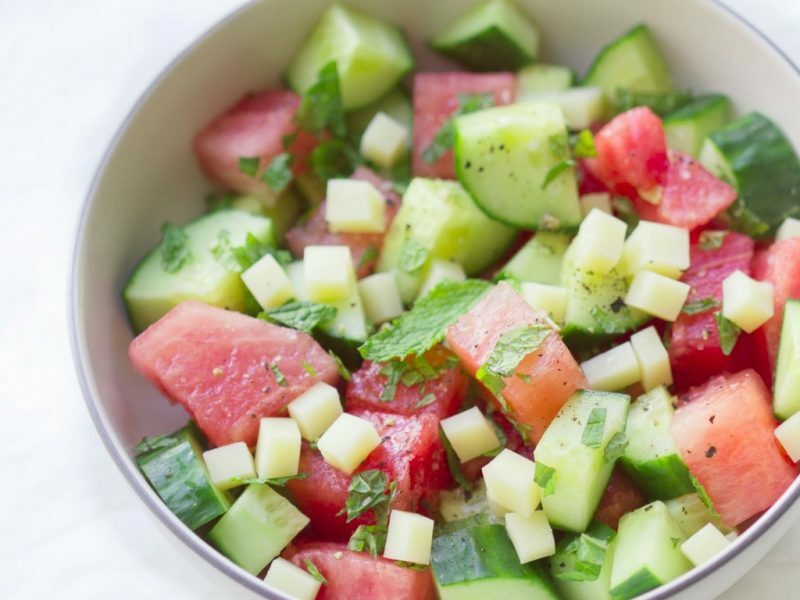 Here’s an idea: sprinkle feta over your watermelon. You’ll thank me! Parmesan is great with tomatoes and perfect when shaved or grated over a Caesar salad. 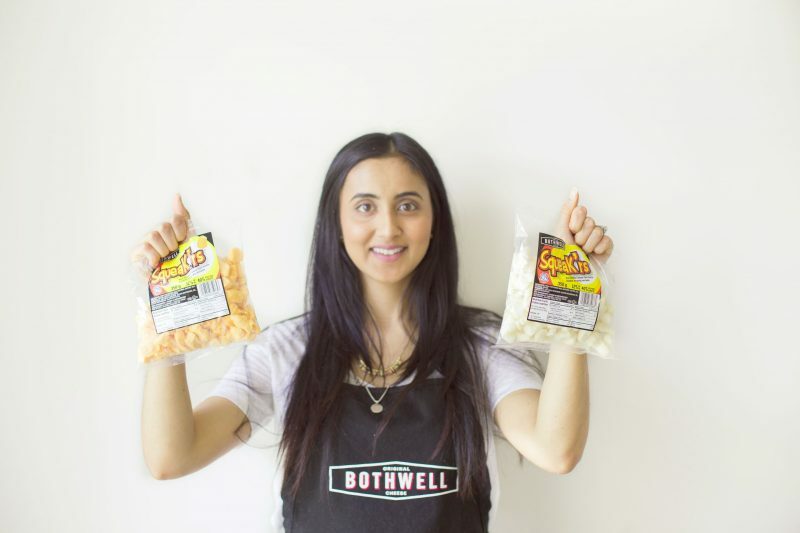 Cheddar cut into cubes can help turn a light salad into a heartier side dish. 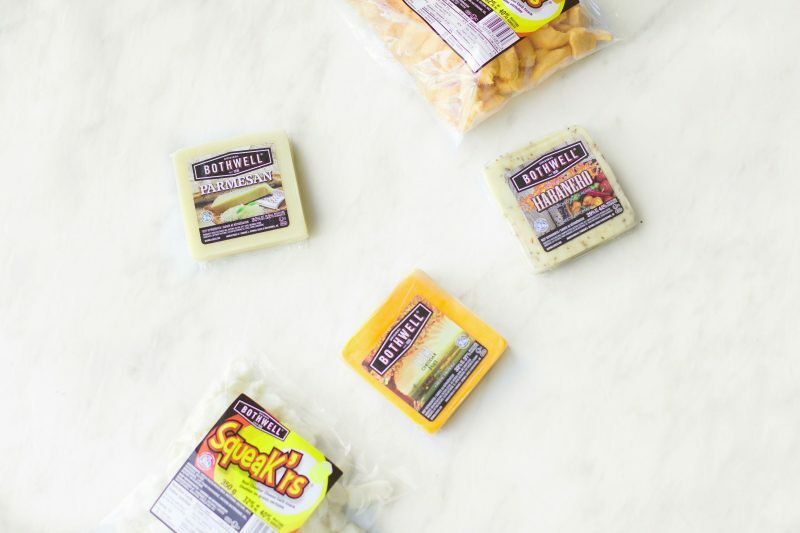 Flavoured cheeses, such as a Habanero with Cracked Black Pepper or a Jalapeño Monterey Jack, can kick up the heat and pair especially well with corn or salads with an authentic tex-mex flair. Whew! The possibilities are endless when it comes to changing up your salads. The best way to avoid getting stuck in a rut is to experiment and see what works best for you. We hope you feel amped and ready to build a few NEW salads for what’s left of your summer – get out those forks, we’ve got some greens to eat!